Ingrid & Isabel does it again with these relaxed boyfriend jeans featuring a hidden inset panel. 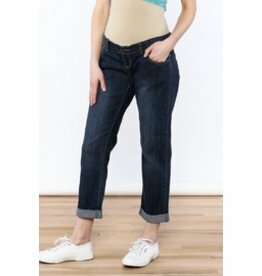 Choose your pre-pregnancy size and let these comfy denims make your pregnancy that much easier! A stylish skinny pant combined with a stretchy, seamless knit Bellaband panel. 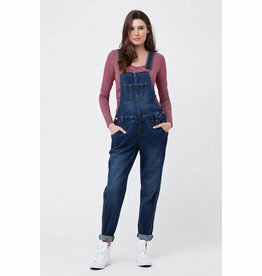 Update your weekend rotation with Ripe's pregnancy friendly denim overalls. Featuring a vintage wash and bronze trims, these denims layer effortlessly over any top. Based on Ripe Maternity's best-selling jean; the super sleek and stylish 'Isla Jegging'. 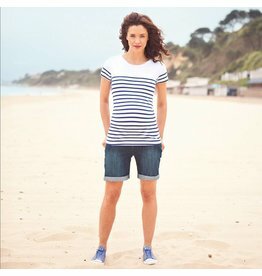 This version features the much loved under-tummy waistband but in a cropped length. The new length grazes the ankle and allows your shoes some time to shine! 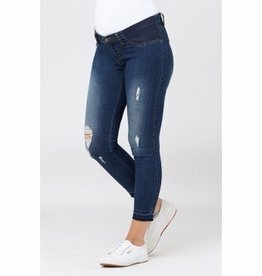 Keep on trend even while growing a tiny human with these distressed skinny jeans featuring an innovative Crossover Panel that helps them stay up while providing enhanced lower-back support. 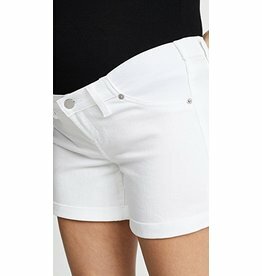 Sleek and versatile in a flattering wash, these ultrasoft skinny jeans will be a favorite throughout your pregnancy thanks to stretchy waistband panels that accommodate your growing baby bump!